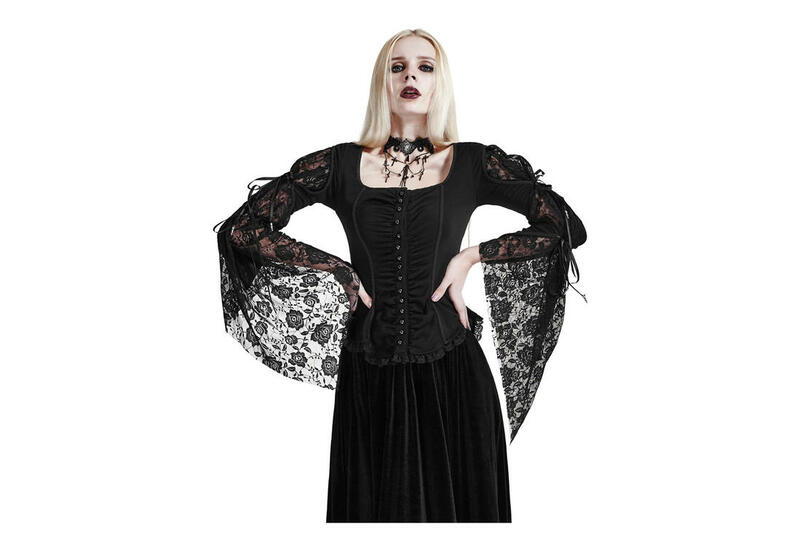 This gorgeous long sleeve gothic top is made of knitted rose lace mesh fabric. 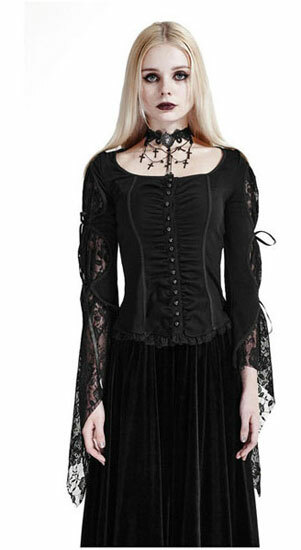 This Gothic top has rope trim details, button up front and a lace corset style back. The sleeves are extra large with lace mesh fabric.